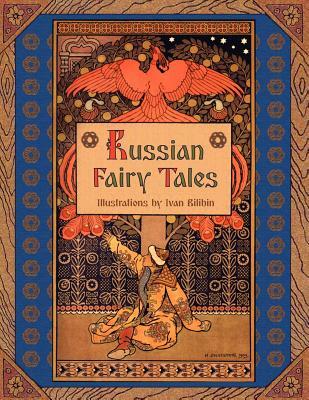 This richly illustrated collection comprises five popular Russian folk tales: Vasilisa the Beautiful Maria Morevna; The Feather of Finist the Falcon; The Frog-Tsarevna; Tsarevich Ivan, the Firebird and the Grey Wolf. The illustrations included in this edition were created in the early 20th century by Ivan Yakovlevich Bilibin, a famous Russian illustrator and stage designer, who was inspired by Slavic folklore throughout his career. He was a prominent figure in the artistic movement Mir Iskusstva and contributed to the Ballets Russes. The tales were recorded by the renowned folklorist Alexander Nikolayevich Afanasyev (1826-1871), who collected and published more than 600 Russian folk tales in the middle 19th century.